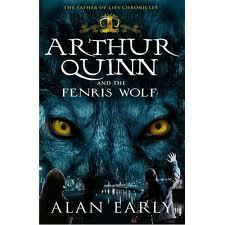 On the shelves in all discerning bookshops.... Arthur Quinn and the Fenris Wolf (part 2 of the Father of Lies Chronicles by Alan Early)!!!! "With the trickster god, Loki, defeated and the world in an easy amnesia over past events, life seems back to normal for Arthur Quinn. But Loki has not been resting. He’s back seeking vengeance on Arthur and his friends… and this time, he’s got an army. Fantastic, riveting adventure; the second book of The Father of Lies Chronicles is even better than the first!" And my review is available on The Bookbag and also on this blog on the 'What ARE You Reading' page. Check it out! Roald Dahl Day is Coming! As we near the end of summer holidays, all our thoughts are turning back to school. Didn't the summer go by too quickly? But don't worry... there are still so many non-school related things to think about. One of my favourite is Roald Dahl Day. 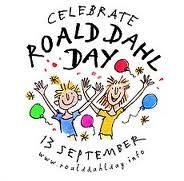 Every year, September 13th (Roald Dahl's actual birthday) is celebrated as Roald Dahl Day. 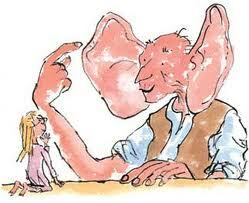 And this year, it is also the celebration of The BFG's 30th birthday... that's right, our favourite giant is turning 30! Here's the link to the official Roald Dahl Day website so you can find out what's happening, plan activities and learn more about the BFG, Roald Dahl and lots, lots more. Now, let's see who's paying attention with a little competition. I have one copy of the 30th anniversary edition of The BFG to give away. All you have to do is leave a comment here, on this blog entry telling me why you want it. On September 13th, I'll read the entries, put them into a birthday hat and draw the name of the lucky winner. Well... after all... this is Fallen Star Stories. I got the name for my blog (and formerly, my studio) from a memory from childhood. My father and I used to sit out on the front porch late at night and look for falling stars. That simple. This is an activity I shared with my children when they were little... lying out on blankets in the front garden and watching the night sky to see falling stars and make wishes. It was absolutely amazing. 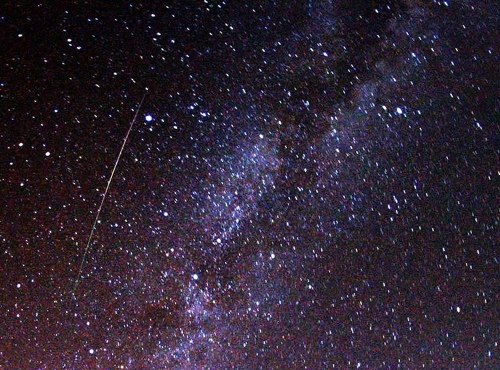 And now, tonight and tomorrow night, in the wee small hours, it is the peak moment for observing the Perseid meteor showers. 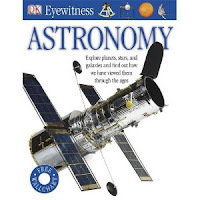 This promises between 50 to 100 meteors per hour. The stuff that dreams are made of... and life long memories. Any way you look at it, it's an incredible moment at a time (aka: 'these days') when observing simple, straight-forward, incredible moments can be quite rare. My advice: keep your fingers crossed for clear skies, stay up late, go outside with those you love, have your wishes ready.... and look for falling stars. Now, just to tie this in with things bookish, here's a recommendation or two for the young folk on astronomy. I think the DK Eyewitness series does it very well. 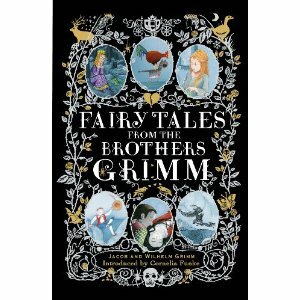 In celebration of the 200th anniversary of Jacob and Wilhelm Grimm's original fairy tales, Puffin Books has created a beautiful volume of the tales in their original text; raw, unvarnished and (at times) quite horrific. We have become so used to sanitised and 'pretty' versions of these time honoured stories, that to read them in their original form can be rather shocking. We shy away from them now. (We CAN'T read these to the children... it might disturb them.) And the concept that these stories are not simply children's stories seems to have escaped us. Don't get me wrong. They ARE for children... but they are for adults as well. Grimm's Fairy Tales take us into the human psyche and teach us about human nature, behaviour and consequences. They remind to be aware of the world around us, and to be very careful in bargains... what are we willing to risk? These lessons are more easily absorbed by children, however; and I believe they need them now more then ever. They need to be able to imagine, escape and discern. Children need to be enabled to think creatively and see into the human heart at a very young age (which, incidentally, they do anyway.) And, as we grow up, we need to be reminded how to do these things. It's a matter of survival... which the Brothers Grimm remind us in every story. The introduction by Cornelia Funke explains the appeal of these tales perfectly. ....For me, Grimm's fairy tales know every secret of the human heart. They know about our fear and greed, but also about true friendship and unquestioning love. They know about the darkness of the world and about it's endless treasures. They are whispers from the past, where children could starve in the woods and where forests were dangerous places, but also filled with treasure and magic. Where animals could talk and people shift their shape whenever they wanted because they knew they were part of nature...something we easily forget these days...."
Like Cornelia (one of my favourite writers), I love fairy tales. To this day, they continue to terrify and teach and enlighten and remind me of what it means to be human; what it means to live in this world. And they allow escape into those magical forests, where I must be very clever and very observant if I expect to journey through successfully. I must think on my feet and take care not to make bad bargains. And upon returning to the real world, I carry these tales with me. Einstein said, "If you want your children to be intelligent, read them fairy tales." C.S. Lewis was emphatic; "Some you will be old enough to start reading fairy tales again." Why wait? Start today... and share them with your children without fear... well, maybe just a bit of fear... but you'll both be better for it. Another Very Happy Book Birthday!!! And, I also have to wish a very Happy Book Birthday to The Black Cat Detectives (Cinnamon Grove) by Wendy Meddour, as today is also the official publication date for this book. 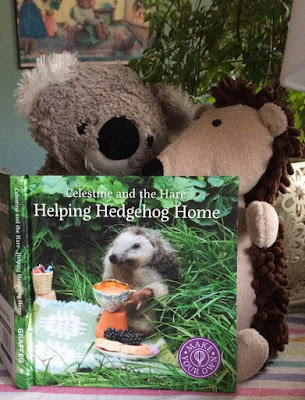 This is the follow-up to the wonderful book 'Hen In The Wardrobe' (my review is in the What ARE You Reading???? page). 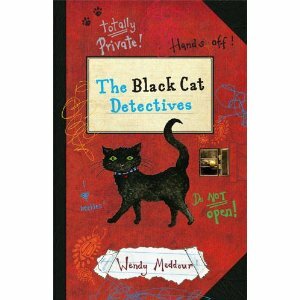 While I haven't seen The Black Cat Detectives yet, I am anxiously expecting a copy! And based on her first book, it will be wonderful!!! 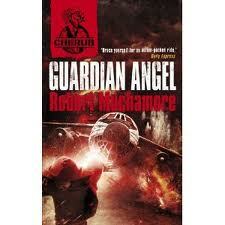 Today marks the official publication date of Robert Muchamore's new book in the ongoing CHERUB saga... Guardian Angel! "Ryan has saved Ethan's life more than once. Ethan thinks he must be a guardian angel. But Ryan works for CHERUB, a secret organisation with one key advantage: even experienced criminals never suspect that children are spying on them. Ethan's family runs a billion-dollar criminal empire and Ryan's job is to destroy it. Can Ryan complete his mission without destroying Ethan as well?" I've just finished reading 'The Land of Stories; the wishing spell' by Glee star Chris Colfer. I have to say, I was pleasantly surprised. A really great read revisiting all our favourite fairy tale characters! Here's Chris Colfer's trailer introducing his first book: The Land of Stories. Oh, and my quick review of it can be found on the 'What ARE You Reading' page.